Da Couch Tomato: Micro: The Vampire Diaries. Season 5. 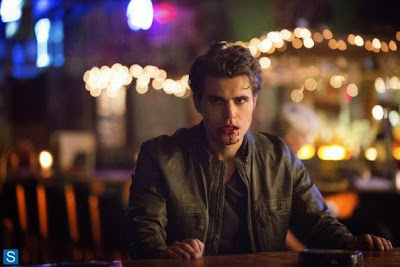 Episode 3: "Original Sin"
Micro: The Vampire Diaries. Season 5. Episode 3: "Original Sin"
"Come on, I just got the girl!" I agree with Damon, let's dial down the destiny talk. 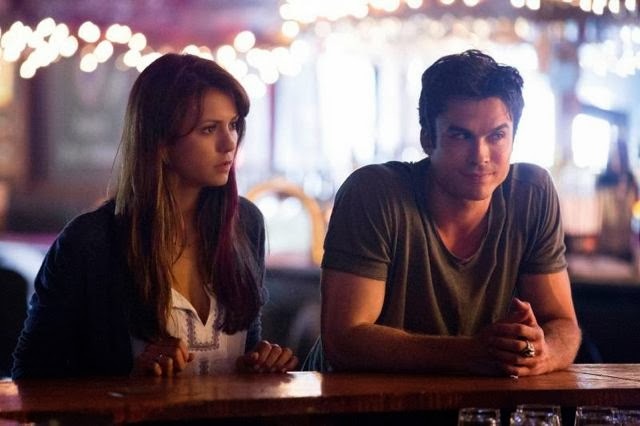 I love that Damon is still fighting the odds, still the underdog even if he already got the girl. But I miss Damon on a rampage. "No, she's destined to be mine." Don't mess with a woman scorned. So, how is Qetsiyah alive? Well, never mind that. She's still out for revenge for 2000 years of Silas' treachery with Amarra (or her handmaiden who looks like Katherine and Elena—there are three of them now!) She's the one who freed Stefan from being buried alive underwater—and then fried his memories to keep Silas from using his mental powers. Now we see the reason why there exists doppelgangers and shadowselves. Whew. How will we get Stefan back? Lemme guess, true love? Hmpf. On the other side, the reason why Silas wants Katherine is to kill her, I suppose, because in her veins flows the cure that Qetsiyah or Tessa wants to shove up his throat. Yes, Kathrine is not just the moonstone. 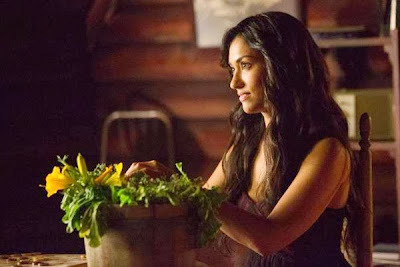 Nadia, who's got Katherine, puts forward her own agenda─or so she says it is. That's where Matt comes in, and Jeremy, who's still covering for Bonnie. Tsk.